Do you have a knack for seeing ways to update or plan a house? Does a poorly-designed layout drive you crazy? Residential architects work with homeowners, community planners and developers to create safe, well-designed, beautiful homes. When looking at a career in this technical field, it’s best to have all the facts. Providing new designs for homes, helping plan renovations or additions to existing homes are all areas a residential architect may find work in. While planning these types of projects, they must remain aware of building codes, fire regulations, structural limitations and other information to keep the project moving ahead within the requirements of local, county and state governments. 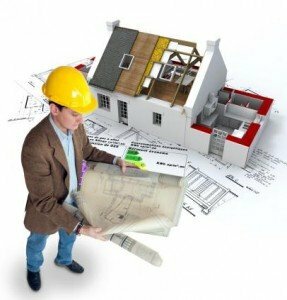 They may use drafting tools or computer-aided drafting to create in-depth building plans for construction companies to base their work on. Architects often work a full time to 50 plus hours a week. Most of their work is done in an office setting, though they will often visit construction sites to review project progress and solve technical problems that may arise during construction. They need to remain flexible to changes that may need to occur on a job. Skills that are helpful in residential architecture include analytical thinking, communications, creativity, critical thinking, organization, technical skills, computer knowledge and visualization ability. Architectural designs require some engineering knowledge to determine the best type and specification for job materials that will bring the architect’s design to reality in a safe and structurally sound manner. Education is an absolute requirement in this position, with most states requiring architects to take coursework through a school accredited by the National Architectural Accrediting Board in a bachelor’s or master’s program. These programs often run five years for a bachelor’s degree and between one and five years for a master’s degree. There are three basic areas you’ll need to work on to become a residential architect. A bachelor’s degree through an accredited school is a minimum requirement, though many students continue on in a master’s program. Following graduation, most states require a minimum three year training period, usually as an intern, prior to sitting the Architect Registration Exam. This exam is required before being able to work independently. Many architects join professional associations to help them stay on top of changes in their field and new developments in technology. Positions in related fields include civil engineers who design infrastructure projects, construction managers who oversee construction projects, other architectural specialties including industrial and business buildings, graphic designers who create visual designs to communicate information, interior designers who arrange interior spaces to make them functional and beautiful, industrial designers who create plans for manufactured products, landscape architects who design parks, airports and other large, open areas, and urban and regional planners who develop long-term plans for land use. The average pay for architects in 2010 was $72,550, over double the total average pay of $33,840 for the same time period. Some fluctuation can be expected by architects who go into business for themselves or for partners in an architectural firm. Continuing education costs are often paid by the firm to keep their architects current on changes in the field or building code requirements. It’s a great time to get into architecture! The Bureau of Labor Statistics is predicting a faster than average rise of 24% in this field from changing demographics including aging populations, repurposing of formerly industrial areas for housing and increasing demand for green or sustainable design.. There is also a related upswing in architecture students, causing some competition at the best firms, so it’s better to get into coursework for this program now rather than waiting.